Old meets new in the latest X-Men film X-Men: Days of Future Past. As it turns out, that might be exactly what this franchise needed. The previous film that rebooted the franchise, X-Men: First Class (2011) was an excellent new take on the mutants. Unfortunately that film, though liked critically, underperformed at the box office, leaving some doubt about the future of the series. 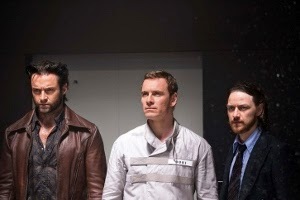 Perhaps fans were not ready to accept younger versions Charles Xavier (James McAvoy) and Magneto (Michael Fassbender) and/or they didn’t like the thought of an X-Men film without Wolverine (Hugh Jackman, who only makes a cameo appearance in First Class). 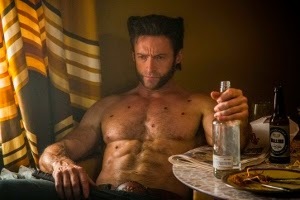 Days of Future Past solves those problems by combining the new with the old, plus adding a lot of Wolverine. The result is an imaginative storyline that combines the best of both worlds. Based on a 1981 story arc from the Uncanny X-Men comic book, Days of Future Past is a self-contained story that finds the older Professor X (Patrick Stewart) working with his nemesis Magneto (Ian McKellen) to travel back in time in order change the future and save the world from total destruction. Unable to make the trip themselves, due to extreme mental strain, Wolverine (who can regenerate from any damage) is sent instead. The time travel is done by means of mental transference, rather than any type of time-travelling contraption. 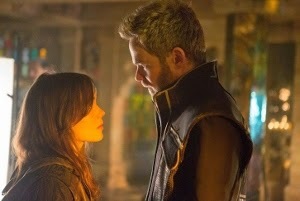 Kitty Pryde (Ellen Page reprising her role from the X-Men: The Last Stand) is able to manipulate a person’s consciousness into the body of that person’s younger self (wouldn’t that be great!). So off Wolverine goes to 1973 in search of the young Professor X and Magneto. The Holocaust has always been a running theme of the X-Men films, both directly in the story of Magneto and allegorically in the treatment of the mutants as the persecuted “others.” This film projects that hatred and fear to a frightening conclusion. An event in 1973 triggers what ultimately may be the end of everything in a rather short 50 years, setting the dystopian future we see at the beginning of this film in the not-so-distant year of approximately 2023. We know the Professor and Magneto catch up with Wolverine in 2013 (if you don’t know this, please watch The Wolverine right through the end credits), and a short 10 years later things look pretty bad. This is what happens when fear goes unchecked and action occurs without thought. Ideas that go against everything Professor X stands for. It’s a cool setup, but the heart of this film is in the past. As much as I love Patrick Stewart and Ian McKellen, I can’t get enough of James McAvoy and Michael Fassbender in the respective roles. Both actors carry a gravitas that honors Stewart and McKellen’s respective takes on the characters, while adding their own spin on what these characters might have been like in their younger days. McAvoy especially gets the chance to stretch his legs (literally, as Xavier is up and walking again) as he explores the Professor’s darker side. 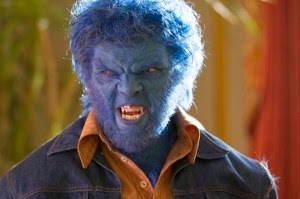 Xavier, assisted by Hank McCoy (aka Beast; Nicholas Hoult returning from First Class), has essentially become a junkie who has forsaken his mental powers. A scene between the Professor and Magneto on an airplane as they examine their rather strained relationship packs a genuine emotional punch. Peter Dinklage as scientist Bolivar Trask makes an interesting catalyst for the potentially end of mutants. As the inventor of the mutant-hunting Sentinels, Trask is an ambiguous figure – not really a villain, but certainly no hero. In addition to some fine dramatic elements there is plenty of action to keep the film moving along. Wolverine is a welcome addition to the younger Professor and Magneto. In fact, he has to swap roles in a way as he tries to provide words of wisdom to the Professor, who has lost his way emotionally. As Mystique, the girl who has always been searching for her path in life, Jennifer Lawrence doesn’t get to do as much dramatically, but she does a good job balancing between the girl with the special powers who is on a mission, and the vulnerable girl who longs for a family. I like that the film continued on the logical path for Mystique from the events of First Class. Her decisions have driven her further from regular society, but she still has that desire to be accepted. The question on minds of X-Men fans is how well the earlier films marry with the storyline of First Class. Originally they were not meant to fit together. First Class was intended as a reboot. And maybe if we examined the timelines, we would find some things that don’t match up logically. But even considering that caveat, the team-up works well. 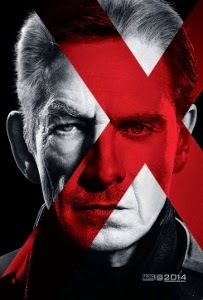 I love that the new series has been given a second chance and I love that we got to see Patrick Stewart and Ian McKellen (not to mention Halle Berry as Storm and Shawn Ashmore as Iceman) again. I look forward to the future of this franchise, which continues in 2016 with X-Men: Apocalypse (be sure to stay for the entire end credits to see a short teaser of the coming film).